The Fraser Coast and South Burnett regions are two of the most exciting regions in Queensland. From the world heritage significance of Fraser Island to the beauty and attractions of the inland regions of the South Burnett, the variety of experiences is considerable. Maryborough and Hervey Bay are the gateway to Fraser Island, one of Australia’s very special natural endowments. As the world’s largest sand island, Fraser Island (knows as K’gari to its Aboriginal people, the Butchulla) is a continually changing landscape with long beaches, natural sandblows, perched freshwater lakes and crystal streams. Numerous day and overnight tour options are available. Hervey Bay is the main launching pad for tours operation between July to November. Hervey Bay is a lively town with good restaurants and cafes, making it the perfect place on a Fraser Coast trip to indulge in a day spa experience at Botanica Day Spa. We love Maryborough for its wonderful sense of history and its riverside location. Rosehill Homestead, a stream train ride on the Mary Ann, a walk through Queens Park and the Mary River marina are all great sites to seek out. Have a meal at the Riverview Reef restaurant in the heritage precinct and take in a show at the Brolga Theatre. From Maryborough it is only a 20-minute drive to Hervey Bay. Childers is an historic town with a wonderful tree lined streetscape that retains many building facades from the 1850s. This is a rich farming area with plenty of attractions, including nearby Woodgate beach. Visit in July and you can participate in the Childers Food, Wine and Performing Arts Festival, a key event in the town’s life. The South Burnett is quickly gaining a reputation as a food and wine lovers’ region and together with its well-developed antiques trail, offers a memorable driving holiday. The best way to access the South Burnett from Brisbane is to come up either via Toowoomba or the D’Aguilar Highway through Esk, Blackbutt and Nanango (drop in to historic Ringsfield House and discover the local history over Devonshire tea) to Kingaroy. 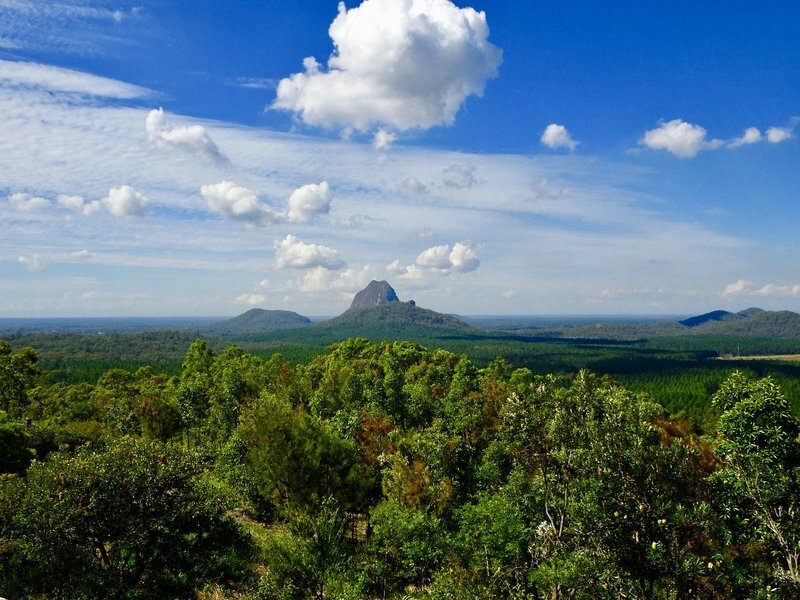 We love Kingaroy – it is the perfect example of Queensland country hospitality, with galleries, wineries and restaurants and is a gateway to the Bunya Mountains National Park (an extinct volcano, home to the last remaining stand of bunya pines in Queensland). Under wide blue skies, you’ll discover passionate farmers and vignerons reaping the rewards of a fertile soil. Visit the Kingaroy Heritage Museum and find out about the area, while lunch and a wine tasting at Captains Paddock (just one of many wineries in the region) is a must. Taabinga Homestead hosts the annual Spring Music Festival; be sure to book well in advance for accommodation in the Kingaroy region at this time. Elsewhere in the South Burnett, country roads hold surprises both culinary and collectable – visit antiques stores and stop for lunch along the way. Sample olives, cheeses and fresh produce at roadside stalls. Murgon is home to a number of fine wineries as well as Bjelke-Petersen Dam, with excellent fishing. Goomeri has a number of antiques shops and the nearby Kinbombi Falls are worth a visit. Kilkivan is the north-eastern gateway to the South Burnett, and chances are you’ll pass through here on your way to or from the north. The Kilkivan Great Horse Ride is here in April each year. And if you’re wondering what Red Claw is, visit the Belle Villa farm to find out!.